Master class at El Camino College, Los Angeles, California, May 2011. A HIGHLY REVIEWED PRESENTATION BY PROFESSOR MARIO MERDIROSSIAN. 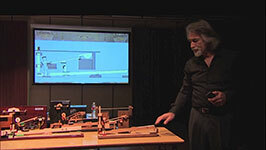 The American Piano Institute sponsors “THE PIANO STORY”, a free-admission 90 minute presentation covering the piano’s history, industry and technology. 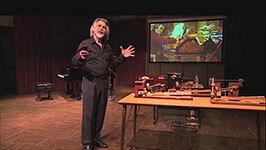 Suitable for all ages, this unique event is presented periodically at the Irwin & Rhoda Treibitz Memorial Hall, Burbank, and other selected cultural centers in Southern California. 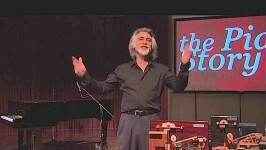 With a very entertaining approach but solid scholarship, pianist Mario Merdirossian talks about the factors leading up to the invention of the piano, as well as its 300 years of evolution. The narrative includes projected images, sound clips of Cristofori’s forte piano, Mozart, Beethoven and other composers’ pianofortes, and a live replica of Cristofori’s first piano action, to explain its revolutionary mechanics. He also details further technological developments by Silbermann, Stein, Broadwood, Erard and Steinway, ending the narrative with an overview of today’s piano manufacturing. To supplement the story, he performs period pieces by Scarlatti, Mozart, Beethoven, Chopin, Liszt, Debussy, Ginastera and Gershwin. The Piano Story is must-see educational experience for piano buyers, music professionals, students and all people interested in knowing all the facts about the piano!